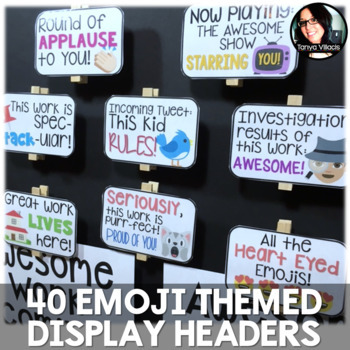 This purchase contains 40 headers for displaying student work using emojis! 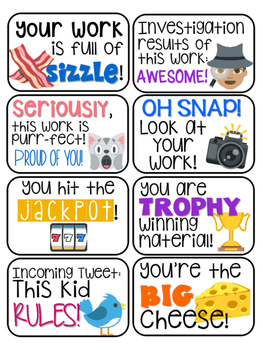 Your students will LOVE seeing their hard work displayed in a positive and cute presentation! ➥ Hot glue headers to clothespins OR glue headers directly to push pins. INCREASE YOUR EMOJI GAME WITH THIS 3 IN ONE BUNDLE! 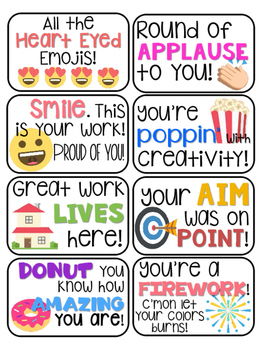 YOUR KIDS WILL GIVE YOU ALL THE HEART EMOJIS! 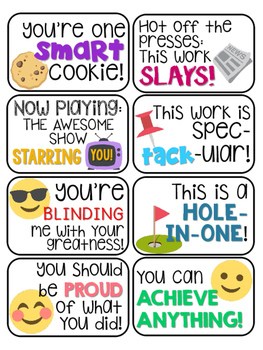 Looking to promote literacy in your class? Check out my teaching partner's emoji themed literacy headers!